4minute's HyunA and B2ST's member Hyunseung will be teaming up to form a duo unit "Trouble Maker". On November 24th, Cube Entertainment announced the collaboration through their official website. The agency also unveiled the unit's album jacket photo for their self-titled mini album "Trouble Maker". The photo features a private-party concept which showcases HyunA and Hyunseung dressed in their classy black suits. 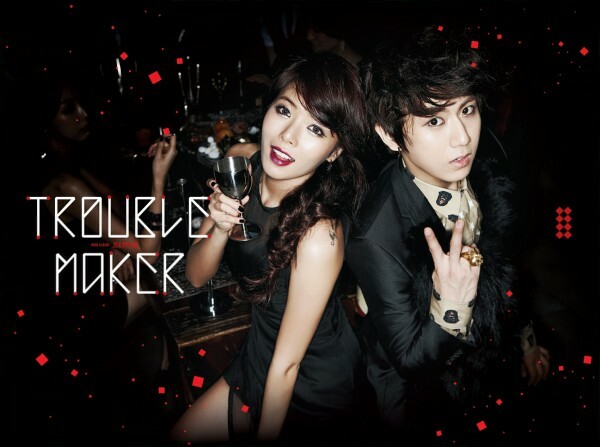 "Trouble Maker" will contain both dance and ballad track that diplay Hyunseung's vocals and HyunA's rapping skills. The album is set to release on December 1st. The unit's first teaser photo will be revealed through their teaser website tomorrow.